Welcome to Midway Village Museum! Welcome to the award-winning Midway Village Museum! 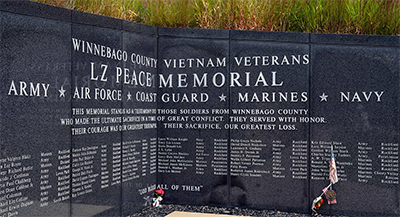 The museum campus sits on a 148-acre campus conveniently located near I-90 in Rockford, Illinois. The museum is comfortably nestled among trees to create a beautiful ambiance any time of year. A Victorian-era Village and Main Museum Center are centrally located on the campus within walking distance from each other. The Victorian Village opens for the season on Saturday, May 4. Last Village Tour starts at 3 pm. The Victorian Village is open by appointment September – April. Closed Mondays. Field trips and group tours are also available. Midway Village Museum Members are Free. The museum also produces year-round special events and provides history education to more than 30,000 students yearly. 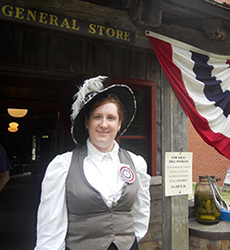 Learn more about the ways Midway Village Museum can expand the educational experiences for your students. 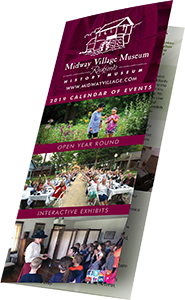 Download the Midway Village Museum 2019 Calendar of Events in PDF format. For admission, to book a tour or more details, call 815-397-9112 or educator@midwayvillage.com. From 9am to sunset, when there are no public or private events scheduled guests are encouraged to use of the public park areas of Midway Village Museum which are the areas near Lake Severin and the Millhouse. When museum special events or private rentals are scheduled the public is directed to gather for their use on the far north side of the Millhouse nearest to Guilford Road. Guests should park in the Rec Path parking lot. There is no fee charged. Guests wanting to take a tour or group photos inside the Victorian Village may do so during regular operating hours with paid admissions for all guests in your group. 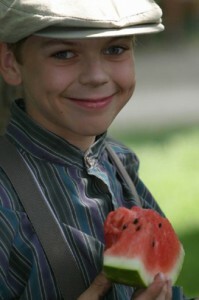 The Victorian Village is open seasonally May through August. For hours and admission, see our General Admission information page. Further questions? Call 815-397-9112. Midway Village Museum, the best institution of collecting, preserving and interpreting the history of the Rockford region, is committed to educating and enriching our community by providing state-of-the-art exhibits, programs and events. Midway Village Museum will be the primary institution where Rockford’s diverse citizens gather to understand their community’s past and to discuss the challenges of the future. In 1968, Midway Village Museum was organized by the Swedish, Harlem and Rockford Historical Societies for the purpose of collecting, preserving and interpreting the history of the Rockford area. It began with a donation of land by the Severin Family and has grown dramatically since. 1972 – The original museum site was located on 11 acres donated by the Severin Family: today the site is 137 acres. 1974 – The development of Midway Village opened to represent a typical rural town in Northern Illinois during the end of the 19th and beginning of the 20th century. 1974 – The original 10,000 square foot Museum Center facility opened. 1976 – The Industrial Gallery opened. 1988 – The Old Doll’s House Museum opened along with additional galleries including the Aviation Gallery and the Carlson Education Gallery.